When couples are picking out their invitations, we often tell them to pick something that will set the tone for the rest of their wedding. 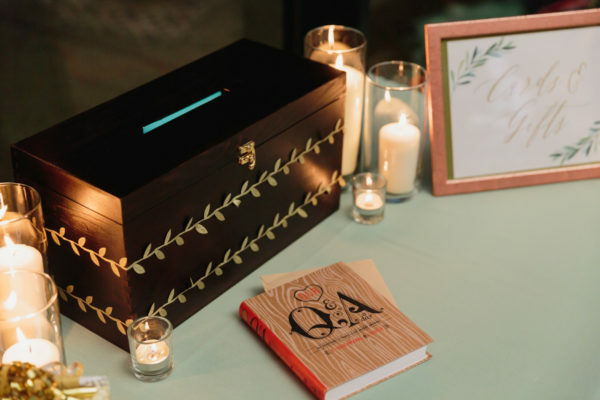 It will be the first thing your guests receive that cues them to the style of the event they are attending — rustic, classic, luxury, a combination of all three, etc. 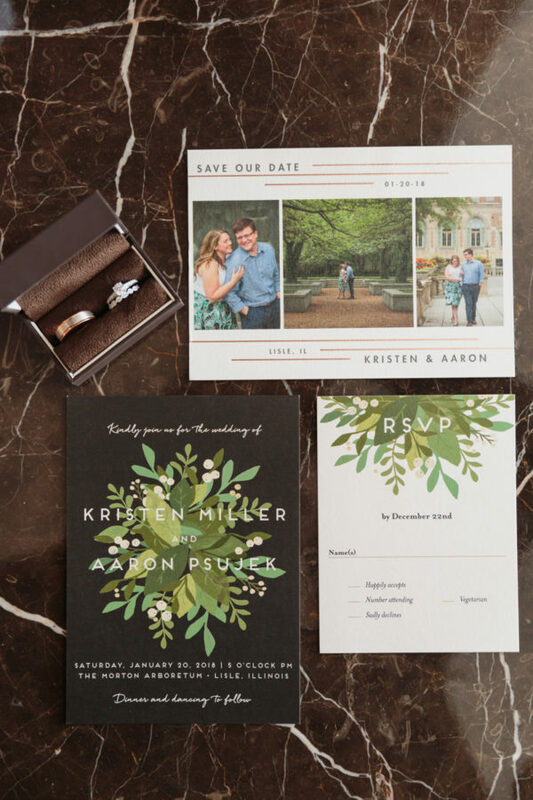 And when you pick out your invitation, you might want to think about how it could fit into a cohesive design. There are a bunch of small elements of your day that you will get to pick out. 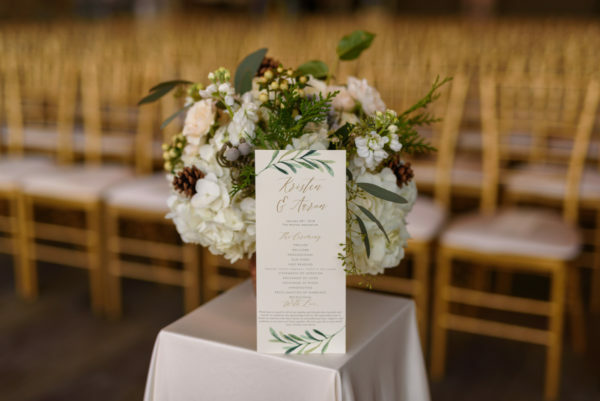 These can include but are not limited to ceremony programs, place cards, table numbers, a letterbox, and any signage for the day. 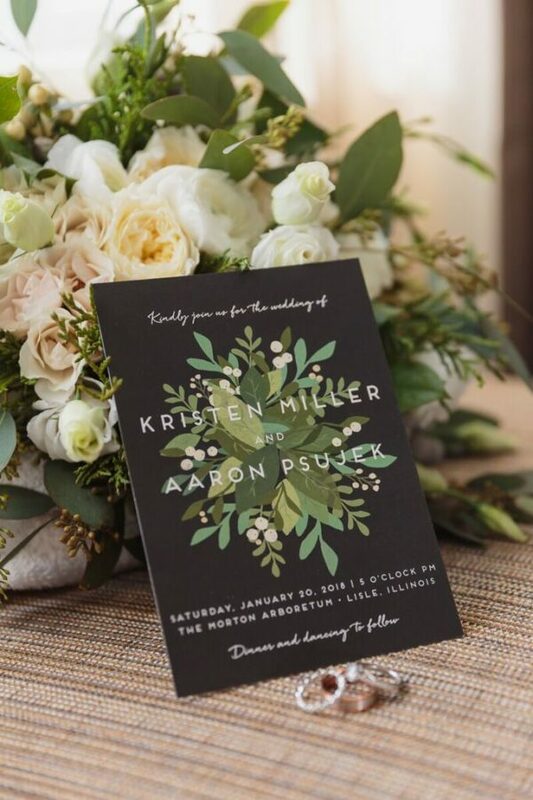 You can bring the design of those all together starting with your invitation. 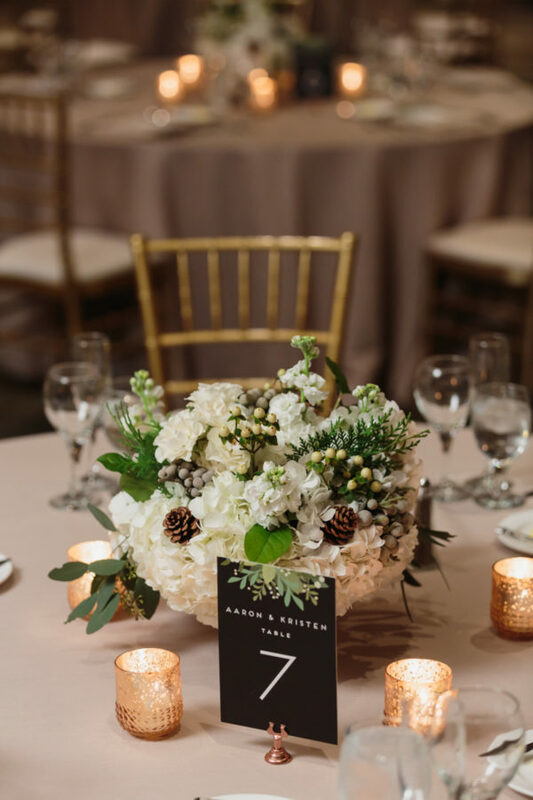 A cohesive design can be hard to visualize, so here is a sample from Kristen and Aaron’s simple, but classy January wedding. 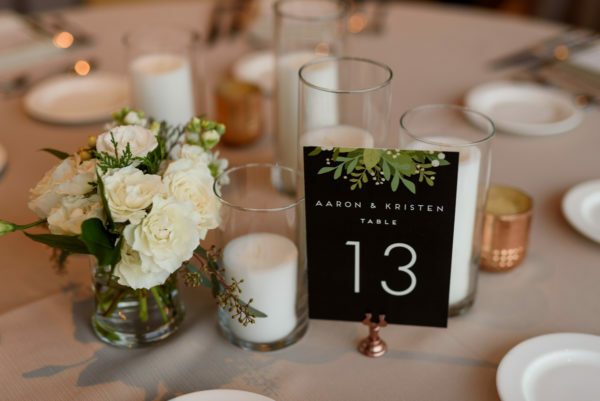 Kristen and Aaron had ceremony programs, dinner menus, and table numbers printed with similar patterns. 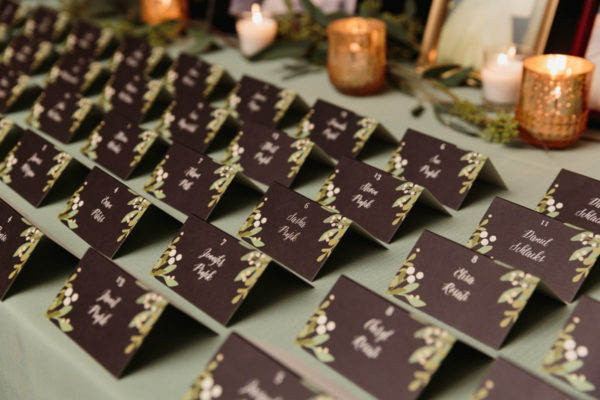 Their place cards, ceremony floral, and letterbox continued the theme. 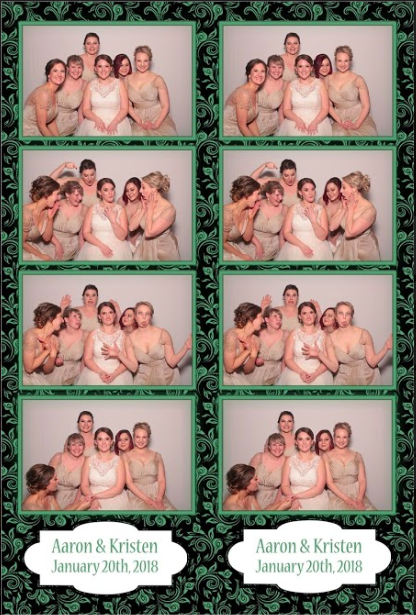 The reception featured a fun photo booth for guests to document the day. 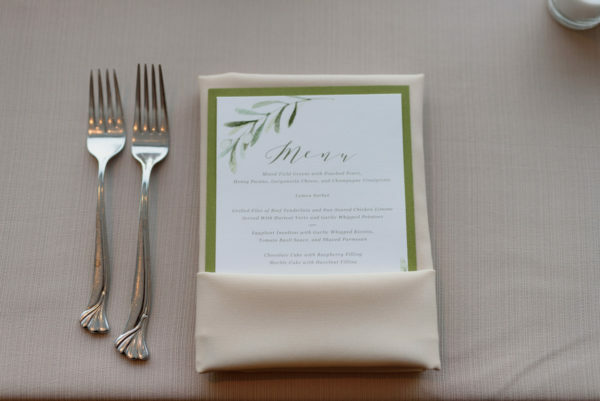 The printed photos were another opportunity for the couple to use their design with a beautiful background of greenery. 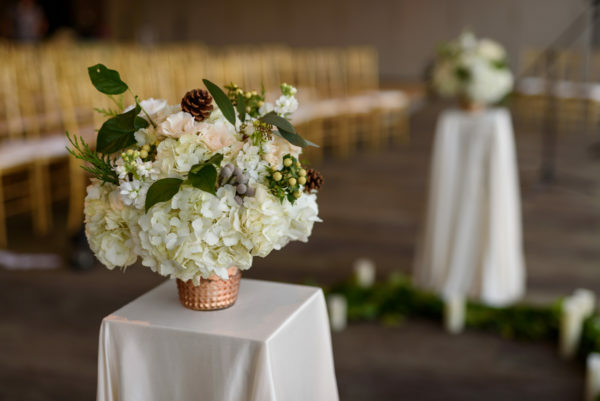 A cohesive design for your day can be a lot of fun and can actually make the planning process easier. 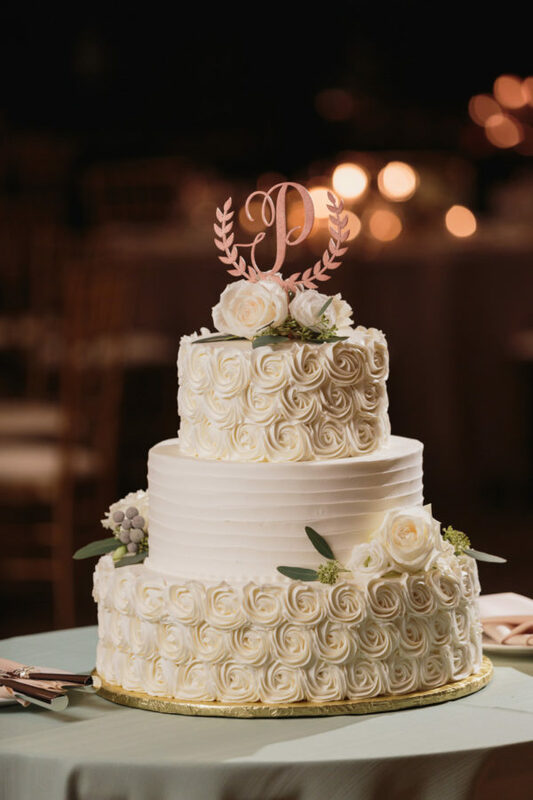 Once you have your vision in mind, your planner, florist, stationery designer, and any other vendors can help you tie it all together.